Acupuncture is part of the oldest and richest medical systems in the world. China has used acupuncture for thousands of years to help people deal with illness and to help people live long and healthy lives. Come explore how Acupuncture Works can enrich your life. Acupuncture Works offers services that address all levels of health. 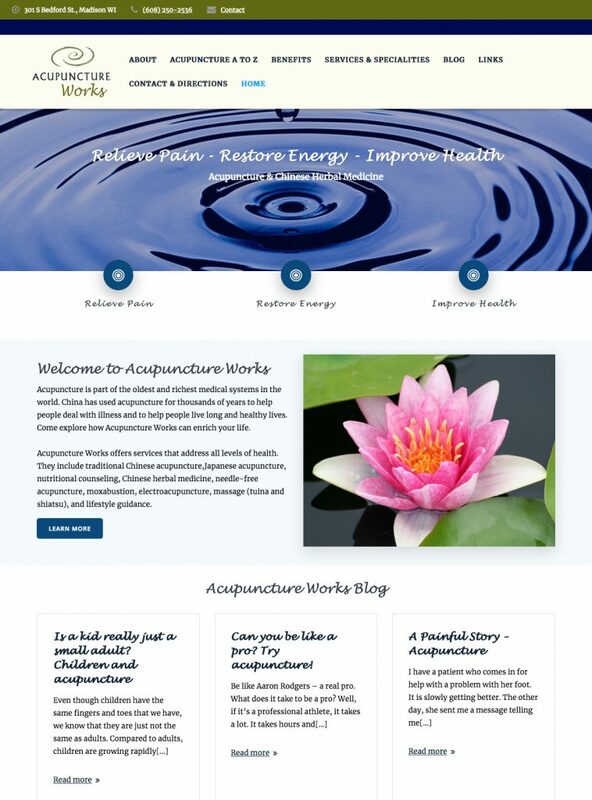 They include traditional Chinese acupuncture, Japanese acupuncture, nutritional counseling, Chinese herbal medicine, needle-free acupuncture, moxabustion, electroacupuncture, massage (tuina and shiatsu), and lifestyle guidance.